Silk Rose Petals Cobalt Blue Medium-blue. Blue is the color of truth, serenity and harmony.This color of silk rose petals is a medium blue color. 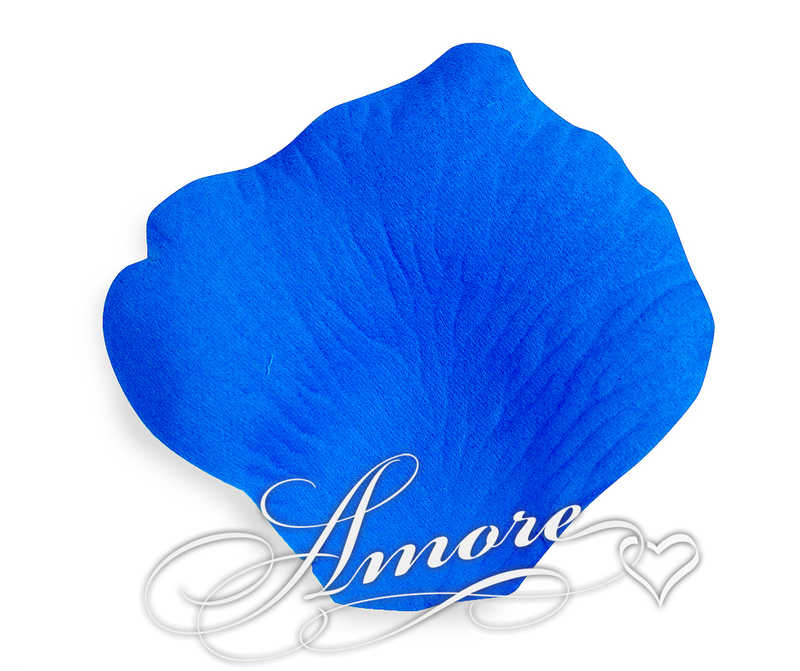 Our Silk Rose Petals Medium Blue are lighter then Royal Blue silk petals and darker then Cornflower Blue silk rose petals.Petal size is 2 inch H x 2 1/2 inch W.